The CIA has named John Edwards, former chief information officer and director of CIA’s information technology enterprise, as new deputy chief operating officer. Filling the CIO position is Juliane Gallina, a partner and vice president at IBM U.S. Federal, as first reported by Nextgov. Prior to CIO, Edwards held various leadership positions within the CIA and industry. He served as the CIA’s communications and technical operations officer with the Directorate of Science and Technology for 14 years, and as chief of staff to the CIA’s executive director for five years (a role now known as COO). He also served as the CIA’s executive secretary. 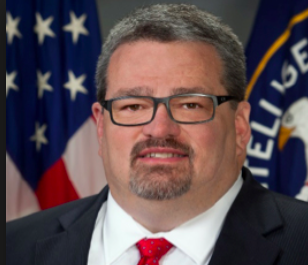 Edwards left the CIA in 2003 to work for two startups, only to return in 2015 as CIO, according to the agency. Gallina will officially start her new position April 1. Prior to IBM, she served in the U.S. Navy for 21 years, retiring in 2013 as a commander. She also spent 10 years with the National Reconnaissance Office, first as a senior system engineer and program manager and later as deputy program director. Amid all of Gallina’s experience, it was deep underground in a government facility on an island in the Pacific buried under 30 feet of concrete and dirt that she, a newly minted naval officer at the time, realized her specialization in the U.S. Navy was information warfare, Gallina said in a November 2016 TED Talk. At the time of the presentation, Gallina was IBM’s director of cognitive solutions for national security. And her big idea: a library of human cognition. In her TED Talk, Gallina discusses the concept of OODA loop – the continuous cycle of observe (the surroundings), orient (to the situation), decide and act. It’s an important concept for the military, because if “you can disrupt your adversary’s decision-making process, or make your own faster or more effective, then you have the strategic advantage,” Gallina said. 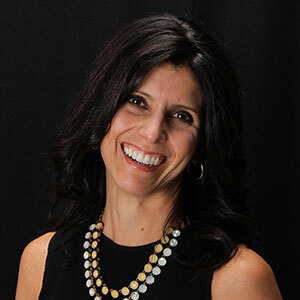 As director of cognitive solutions for national security, Gallina said it was important to understand what was going on in someone else’s mind, because her team was working on solving global security challenges using cognitive computing. She was teaching computer systems to reason and learn the way humans do by first understanding the expert reasoning process, and then using that expertise to adapt cognitive technology for security purposes. But even further, Gallina wanted to preserve the way of thinking and wisdom of experts — the decisions they made during an OODA loop process — so it’s not lost when they pass away. “What if we had a bank where we could save and turn to the bank to help global security challenges? Like food, water security, energy resource contention, extremism, human migration, intractable geopolitical problems,” she said. Gallina’s idea was to collect expert thinking strategies of people alive today, by simply asking them what they were thinking when they made a decision, recording that answer and archiving it. And with that archive, she proposed building a public library of human cognition “to record and preserve the expert thinking strategies of people as they create those books, compose that music, write those speeches,” she said. Because if people had a bank of the best thinking strategies to use as a final safeguard against cognitive mistakes and thinking flaws, it could mitigate confirmation biases, especially in national security and military situations. Gallina’s role solving problems for IBM government clients with cognitive, cloud and security solutions is shifting to leading CIA modernization efforts and finding ways to better use the agency’s data, Nextgov reported, as she returns to serve from the government side.